The birthplace of delicious Buffalo wings and home to the Buffalo Bills, Buffalo is a city with plenty to share. Located on the shores of Lake Erie, this city in New York state is home to almost 300,000 residents. Icy winters and lovely summers give Buffalo a full range of seasons to enjoy, and it is not far from Niagara Falls which draws visitors from all over the world. Buffalo is also a great city if you are searching for a new holistic dentist. There are a large number of great dental clinics right inside the Buffalo area. The Emergencydentistsusa.com website is standing by to make your search for a new Buffalo holistic dentist a breeze. Just log onto our convenient website and find all of the information that you need to set up that first appointment. Scroll through our hand-selected listing of holistic dentists and click on the dental office that suits your needs. Find office hours, driving directions, and even insurances accepted right on our comprehensive Emergencydentistsusa.com website. Need a little more help picking out a new dentist? Call our 24-hour dentist finder hotline. This call is always toll-free and connects you with a caring agent who can help you to choose the right Buffalo holistic dentist for your needs. Your agent can also set up your first dental appointment and give you driving directions if necessary. Remember to bring your dental insurance card and photo ID with you on your first dental visit. Arrive early to ensure that you have time to fill out the new patient paperwork and ask any questions that you might have for the dentist. The city of Buffalo is more than just great chicken wings. 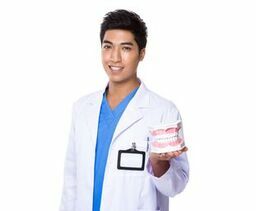 You can also find top quality holistic dentists in this New York town. Scroll down to view three of our top holistic dentists in Buffalo below. Description: Working to exceed all of your expectations when it comes to dental care, Dr. Wood prides himself on caring for each and every patient. This dental office provides general dentistry, cosmetic services, and restorative care for most ages. Digital x-rays and laser dentistry are just two of the state-of-the-art technologies that are employed at Wood Dental Associates. Description: Dr. Krutchick wants you to know that your smile is very important. Offering cosmetic and restorative dental care in a serene setting, Dr. Krutchick is a great choice for dental care in Buffalo. Catering to anxious patients with sedation dentistry, this dental office works hard to ensure that you are perfectly comfortable during your visit. Description: Welcoming new patients and putting the smile on your face, Schwanekamp Dentistry is a great place for anyone with a dental problem. The caring dentist and friendly staff work hard to make you feel comfortable. Cosmetic dentistry, restorative care, and general dentistry are all provided at Schwanekamp Dentistry. When you select a Buffalo holistic dentist, you do not have to worry about starting all of your dental care over again. Picking a holistic dentist means that you are concerned about your overall health and how your dental care relates to your well being. A holistic dentist does not just concentrate on fixing teeth, he or she also works to ensure that you are able to enjoy a healthy body. From low radiation x-rays to biocompatible materials, a holistic dentist combines state-of-the-art technology with kinder chemicals and materials to give you your very best and healthiest smile. When choosing a new dentist, it is important to check to see if your dentist is properly licensed to perform dental services in the state of New York. You can do this by accessing the New York State Dental Association website online. Just log onto the website and enter your dentist’s name into the search box. View current licensing and credentialing right online. You can also find this information by visiting the dental office prior to your first appointment. Most dentists provide this information inside of their office.